Ludwig Johann Passini (1832-1903) was an Austrian** narrative and genre painter and printmaker. Ludwig Passini was born on 9 July 1832 in Vienna, the son of the engraver Johann Nepomuk Passini - the Passini family moved to Trieste in 1850. On 9 November 1864 Passini married Anna Warsaw (1841-1866) at Berlin, she the daughter of Robert and Mary Warschauer, the great-granddaughter of banker Joseph Mendelssohn and the great-great-granddaughter of philosopher Moses Mendelssohn. The couple, who lived alternately in Berlin and Rome, had one daughter. Anna died one and a half years after the wedding. 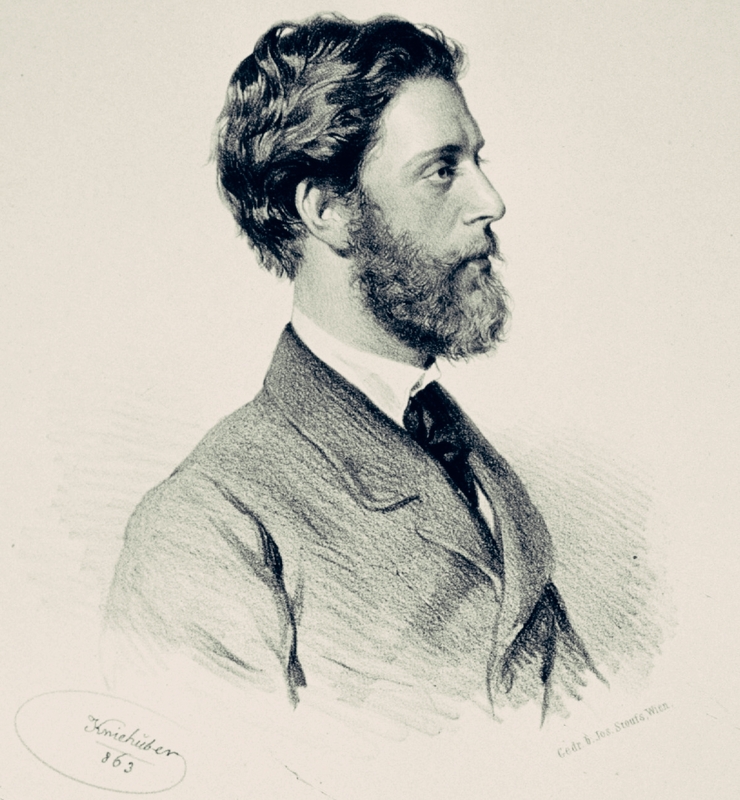 Ludwig Passini died on 6 November 1903 in Venice. 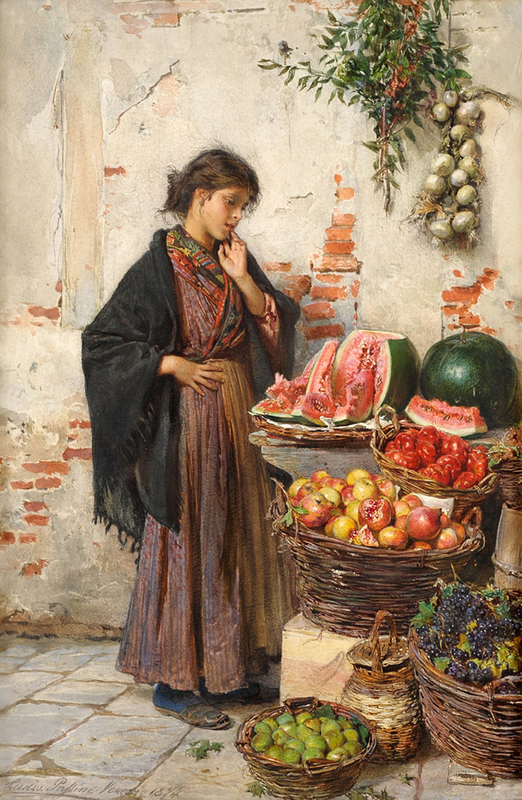 Ludwig Passini (1832, Vienna - 1903, Venezia) è stato un pittore Austriaco**, ritrattista della vita veneziana, nato a Vienna e vissuto in Italia, soprattutto a Venezia.